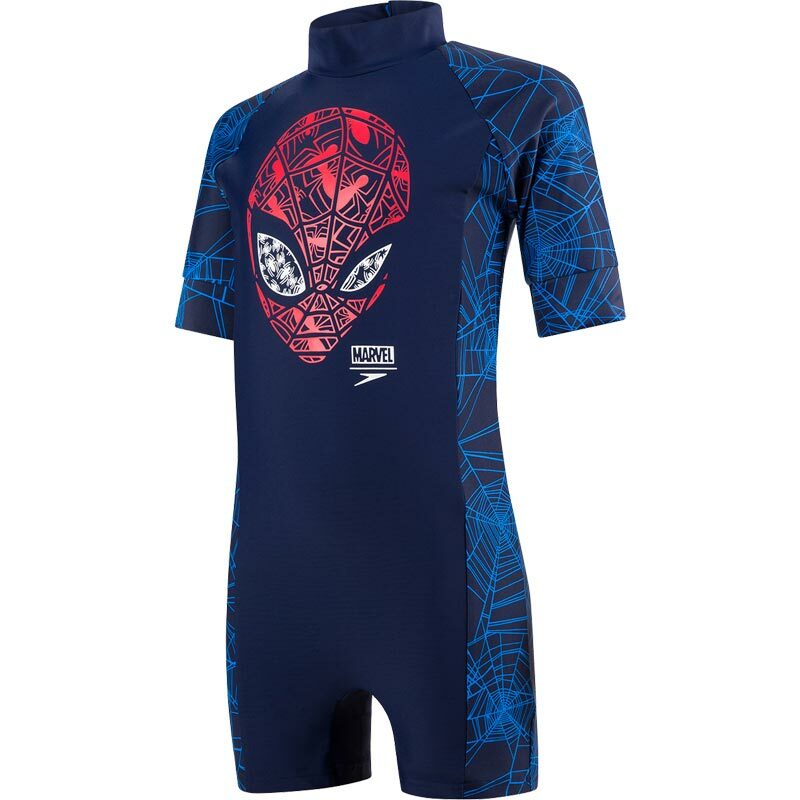 Bring some super-hero cool to the beach and pool with the Speedo ® Spiderman All in One Suit. 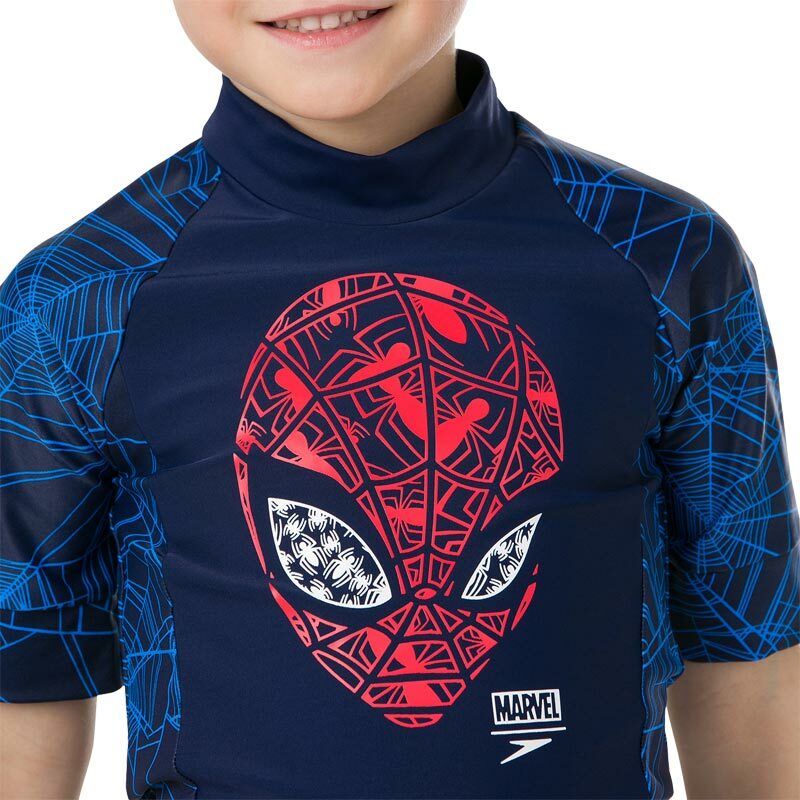 Featuring a zip-up back and Spiderman design, it offers superb coverage and includes UPF50+ sun protection. Made from soft, shape-retaining Endurance 10 fabric for comfort and durability. 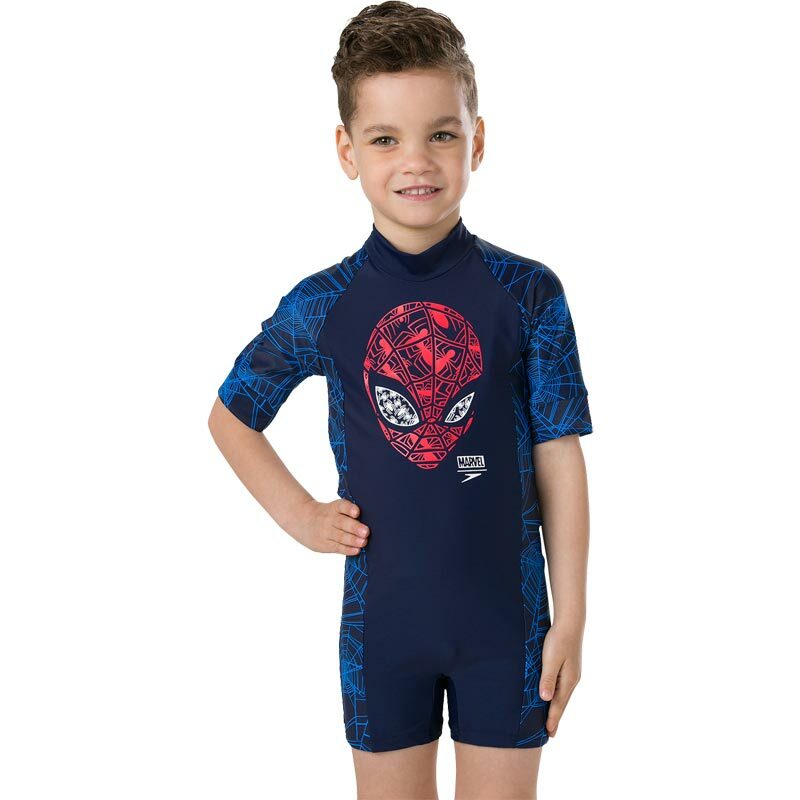 Sun protection suit that covers shoulders, tummy and thighs to help keep your child protected. 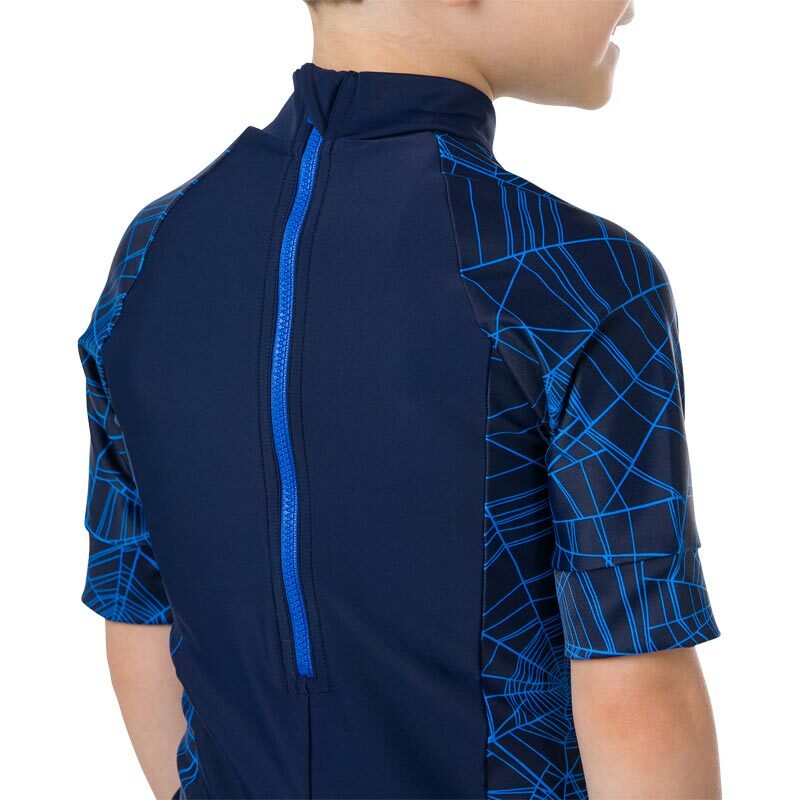 Zip back fastening makes it easy to put on and take off.